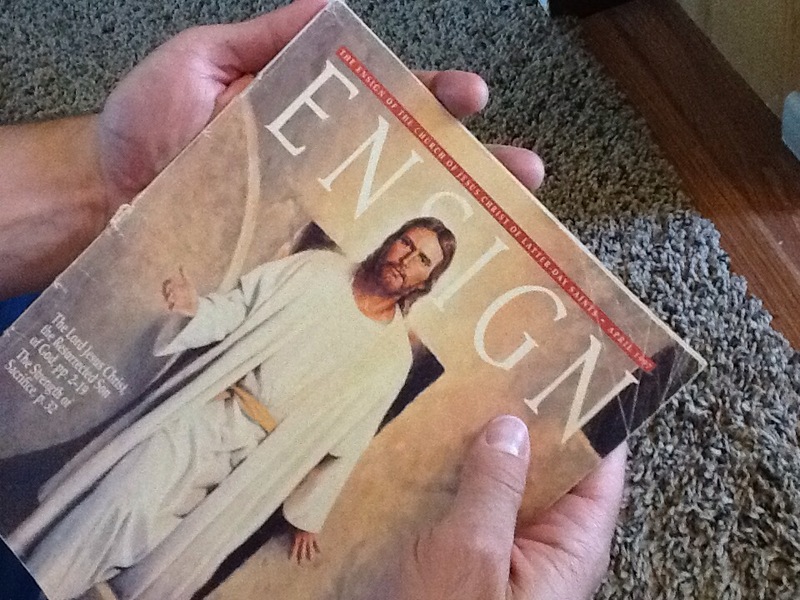 My prized April 1997 issue of the Ensign, the official publication of the Church of Jesus Christ of Latter-Day Saints, limply lays in my appreciative hands, time-tattered and weathered by touch. In hindsight it seems providential that by opening this magazine almost a couple decades ago, I would be opening up a new path in my life leading to a greater appreciation for and a more intense interest in the atonement of Jesus Christ. The soaring sensation of having my unvoiced questions about life, suffering, and the Savior answered by a stranger was a startling discovery that is made new again every time I pick up this old copy. 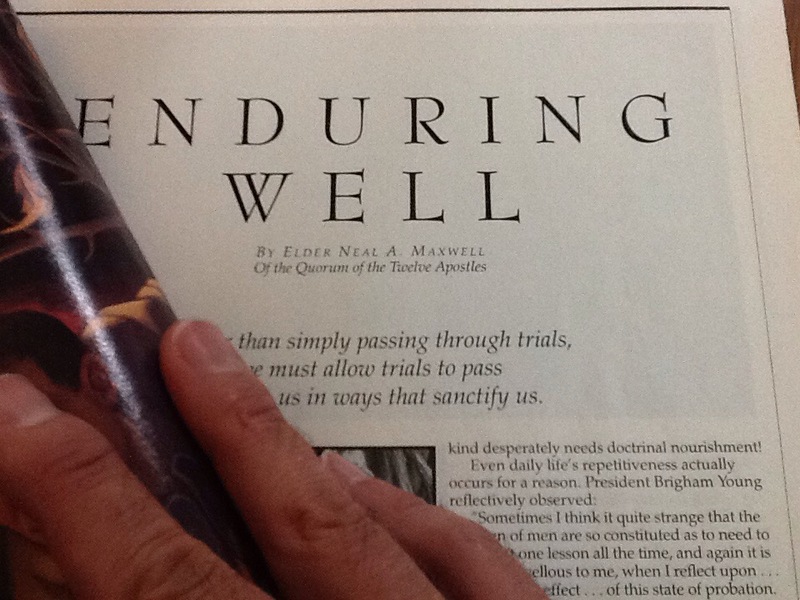 It was the article “Enduring Well” in that 1997 Ensign that fundamentally altered my perception of the gospel and the tenor of my developing discipleship to Christ. The author, Neal A. Maxwell, has always been a stranger in the sense that I never met him, but his influence upon me, starting with this masterfully written article, has had the impact of a close friend. I gained greater appreciation for Christ’s suffering through the perceptive and wisdom-concentrated phrase the “awful arithmetic of the Atonement”(Elder Maxwell, “Enduring Well”). On multiple occasions, the implications of this phrase have yanked the reins on my otherwise galloping thoughts and forced me to ponder in reverence the infinite suffering of the savior. Since 1997 I have been a voracious consumer of Elder Maxwell’s writings, particularly his official sermons from the Church. Soon my admiration of his literary aptitude turned to emulation as I started a journey to find my own style with his as my training wheels. Eventually, my emulation of his language became my memorialization of his world of words that went dark upon his death in 2004. I don’t see myself as the successor of his literary legacy; his legacy is his own. I also don’t feel like my attempts to write like Maxwell necessarily make the statement that I write as good as Maxwell; I don’t. I am just giving credit to a stranger that helped me find my voice and use it in the praise of Christ. The tag I use to highlight the posts that have benefited from Maxwell’s inspiration is “writing like Maxwell”. This is the first part in a series of essays written to remember Elder Maxwell through narrating my journey to write like him. The posts in this series will have the tag “write like Maxwell”. Bruce C. Hafen, A Disciple’s Life: The Biography of Neal A. Maxwell (Salt Lake City, Utah: Deseret Books, 2002). A very comprehensive list of Elder Maxwell’s writings can be found here, at the website Radio Beloved. The posts on nathanwritesstuff.com are neither official publications of the Church of Jesus Christ of Latter-Day Saints nor approved statements by the Maxwell family. I esteem both groups, but represent neither party in an official capacity.